For two nights in July, Melbourne Central will be transformed into a twinkly haven with the Star Festival, an immersive event which will boast a starry installation, pop-up food stalls and cocktails. Taking centre stage and lighting up the shopping precinct will be an indoor star-gazing installation where attendees can gaze at the scene above through star diffraction glasses. For the foodies, a pop-up market will feature sweet treats created especially for the event. Courtesy of some of Melbourne's favourite vendors, including doughnut extraordinaire, Bistro Morgan, these tasty delights will be out of this world. 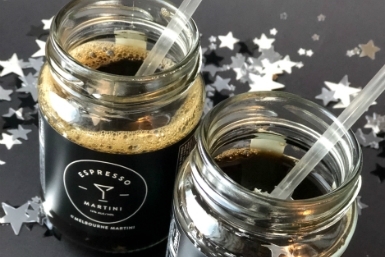 Craft cocktail company Melbourne Martini will be serving up 'Espresso Startinis' for free. Don't forget to also take a snap of yourself in the 'Star Room', a magical space filled with strings of illuminated stars and decorated in all things twinkling.